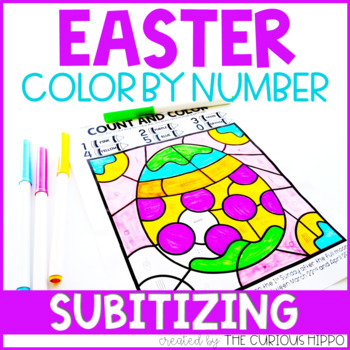 This Easter Color by Number is the perfect way to practice subitizing and some fun facts about Easter. 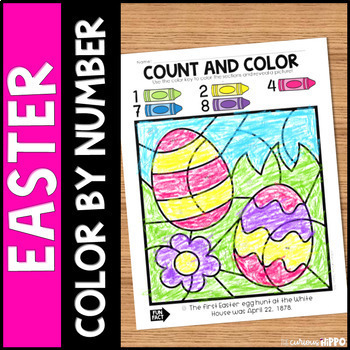 •2 sets of 6 Easter-themed color by number pages. 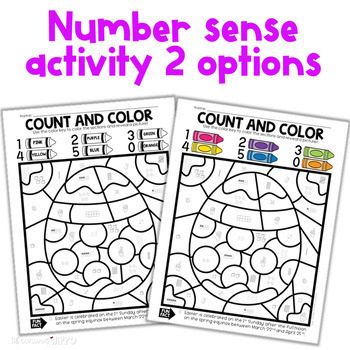 •One set with crayons in color and color words and one set is black and white with color words. 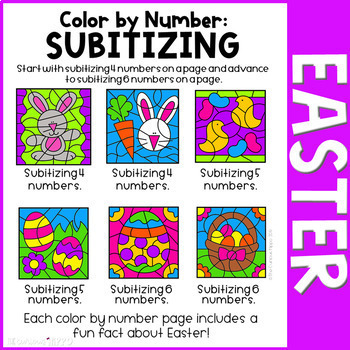 •Each page includes a fun fact about Easter!